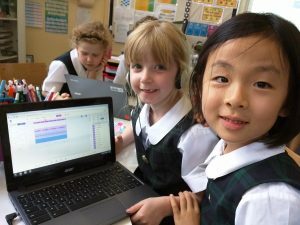 Chromebooks have become (and continue to be) an important computing platform in many schools across the world. 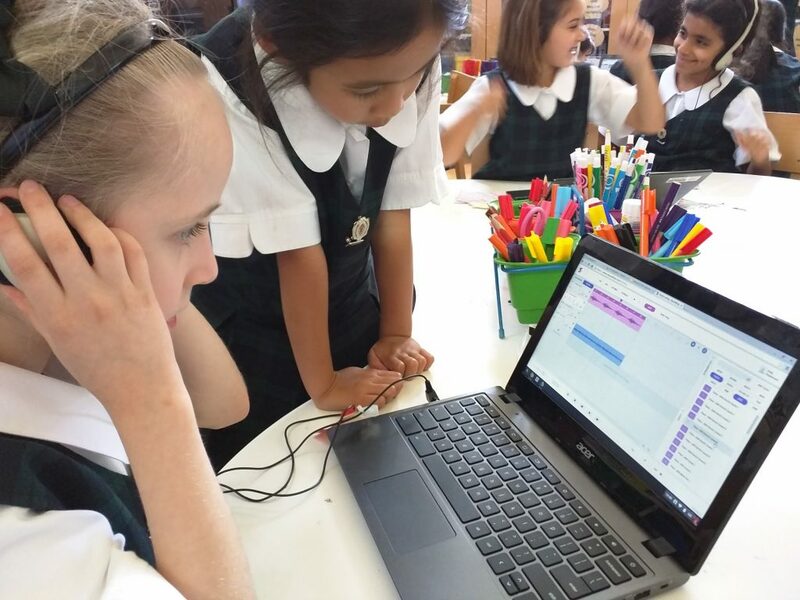 With speed, simplicity, and reliability as their stated goal, many schools have adopted Chromebooks as the primary computer they offer students. A low price is often touted as the reason for their success, but I think low price is simply a benefit, not a feature. While it’s nice that Chromebooks are relatively cheap, to see them as simply “cheap computers” is to entirely miss the point. Chromebooks are succeeding for many other reasons that go far beyond price. One of the myths about Chromebooks is that they are not very good for working with rich media such as audio, video, and graphics. While GSuite gives us marvelous tools for the core functions of word processing, spreadsheets, and presentations with Docs, Sheets, and Slides, there is clearly much more that we’d like students to be able to do with these machines. Obviously, because of the way Chromebooks are designed to work, a stable Internet connection is pretty important for using any of these applications, and it’s fair to say that if a school has poor connectivity then that would need to be addressed first before any large scale Chromebook adoption can successfully happen. However, it’s probably also fair to say that even conventional Mac or Windows computers are far less useful without being connected to the internet, so regardless of which computing platform you choose, having a good solid internet connection is an important place to start! Creating multimedia is important to students. Every student I’ve ever taught with has loved working with text, graphics, audio and video. Combining media in ways that help them tell their stories, explain ideas, demonstrate understanding and explore their world is an important literacy and creative outlet. We want students to be able to do more than just write, crunch numbers and present ideas (although these are all still very important skills to develop). But media literacy and being able to confidently share stories through digital media is just as important, so as more and more schools move to Chromebooks we need to ensure that we can still meet these needs. In the meantime, here are 10 amazing web-based tools that can provide you with a surprising amount of rich media functionality in “just the browser”. Pixlr Editor – The closest thing to Adobe Photoshop on the web, Pixlr Editor supports layers, brushes, masking, cloning, adjustments such as curves, levels, saturation, and vibrancy, as well as a collection of filters and transforms. There is even a free Chrome extension that will remove the ads on the page. If you have used Photoshop, then Pixlr is pretty easy to understand. Polarr – For advanced photo editing, the kind of thing you may have used Adobe Lightroom or Apple’s Aperture for, you should take a look at Polarr. This incredibly capable image editor really gives you detailed control over your images, again with full control of curves and levels, individual management of specific hue and saturation levels, cropping and vignetting, etc. It also has some useful filters if you just need quick results. Gravit Designer – If vector graphics are more your thing, take a look at Gravit Designer, a full-featured vector design tool that is becoming a respectable alternative to Adobe Illustrator. With full support for layers, bezier curves, fills and borders, alignment and all the tools you’ve come to expect. It also now features a useful built-in graphics library. Adobe Spark Post – Spark is part of Adobe’s move to a more web-friendly set of design tools. Spark Post allows you to quickly create fun graphics and text based on an almost limitless set of choices for colour, font, and style. It’s free and runs entirely in the browser, making it perfect for Chromebooks. Check out Spark Page and Spark Video while you’re there! Canva – Somewhat similar to Spark, Canva is great for creating quick designs for graphics and other publications. It offers a range of templates to get you started, but set your imagination free and create from scratch. Book Creator – Originally an iOS only app, Book Creator is now available for Chrome. It features all the same capabilities, including the ability to create digital books, add images and text, add audio, and then export as an ePub format eBook. Offers amazingly simply opportunities for student publishing and is a great platform for students to really show their learning. Google Slides – Although Google Slides is usually seen as an easy presentation alternative to Microsoft Powerpoint, you can wrangle it to be a pretty decent page editing tool simply by creating a custom page size instead of a standard slide. Pages made in Google Slides can have text, shapes, images, and even video, added to them, so Slides becomes a surprisingly credible tool for making posters, flyers, brochures and much more. LucidPress – If your desktop publishing on a Chromebook needs to get a little more serious, then Lucidpress is likely to be your answer. An astoundingly capable browser-based layout and design tool, LucidPress gives you a ton of great templates to start with, or you can just create from a blank page. It provides full control over every element of the page, and can even import Adobe InDesign (.indd) files. It is fully collaborative for students to work in teams, integrates with Google Classroom, and is both simple yet powerful. One additional feature of LucidPress is the way it can create not only for print but also for interactive online formats at the same time. No need to create two different versions for print and online – both can be generated from the same LucidPress original file. That’s a great feature! Wevideo – In the early days of Chromebooks most people assumed that rich media such as video was simply not possible, but Wevideo changed all that. Working in just a browser, Wevideo is a fully featured multitrack video editor that can work with high definition footage to produce an astoundingly sophisticated video output. It supports all the usual video editing features such as transitions, titles, and backgrounds, all customisable for duration, transparency, scale, etc. You can add additional video tracks for the creation of cutaways, closeups, picture in picture and it also supports the use of chromakey (often just called “green screen”). Wevideo can also record the screen of the computer for making screencast style videos, as well as the webcam too. Additional audio tracks can also be added so that recorded sound, narration, music and more can all be layered into the final soundtrack, allowing for a surprising level of sophistication. When it’s time to export the finished edit, Wevideo can simultaneously output in full HD to YouTube, Google Drive, Facebook, Dropbox, etc, or just download to local storage as an MP4 file. Wevideo is easily comparable to other popular classroom video editing tools like Apple iMovie or Adobe Premiere Elements. And it works brilliantly on Chromebooks! There are no doubt many other browser-based media production tools that work on Chromebooks, but these are just a few that I’ve found that works well for me. I’m continually amazed at what can be done in Chrome. Some people think that because Chromebooks are “just a browser” they are fairly limited when it comes to producing sophisticated creative multimedia, but those people are wrong. And as Chromebooks become increasingly more powerful, the future of rich multimedia production on Chromebooks is only going to get even better! I always find it intriguing that there are more options for working with video in the browser than there is for working with audio. Checkout Soundtrap, mentioned in the post. It’s pretty darn amazing. Like, kind of mind blowing really when you see the level of sophistication of what they make happen in “just a browser”.